This past weekend, I had the honor of helping plan my nieces 4th Birthday party. 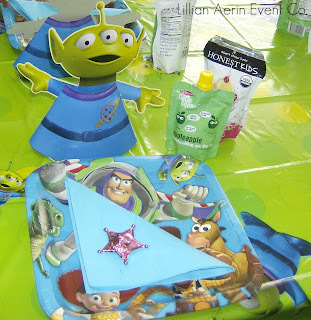 She picked Toy Story 3 for her party theme which comes as no surprise since she asked for the Buzz Light year bike! 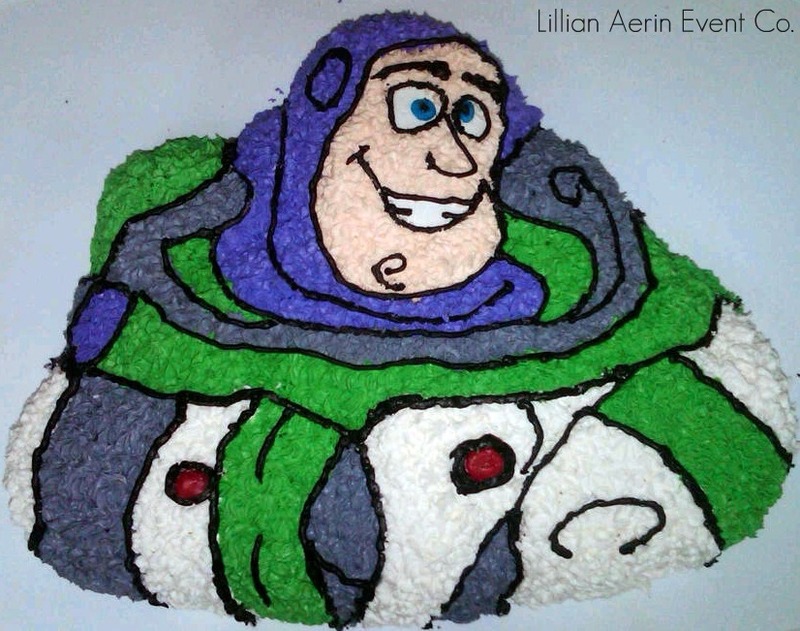 Yes, you heard me correctly Buzz not Barbie or Hello Kitty - she only wanted Buzz Light Year Bike. 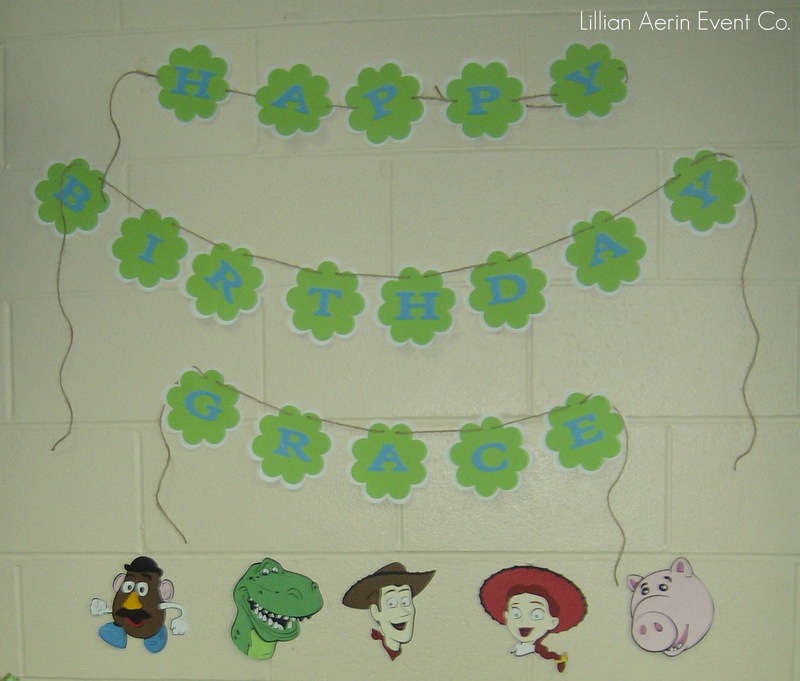 You can say she is a huge fan of Toy Story! We went with the etch a sketch theme for the invitation. I used the etch a sketch to write all of the party details in the center of etch a sketch. 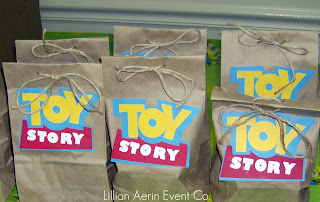 * if you are interested in the Toy Story Invitation please email me at events@lillianaerin.com. 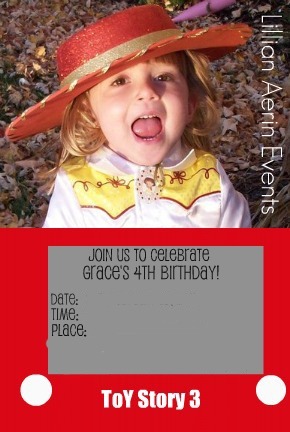 I will take custom requests for the invitation. I used a empty box and marked on the outside Sunnyside just like from Toy Story 3 when Andy was preparing for college and had to give away some of his toys. 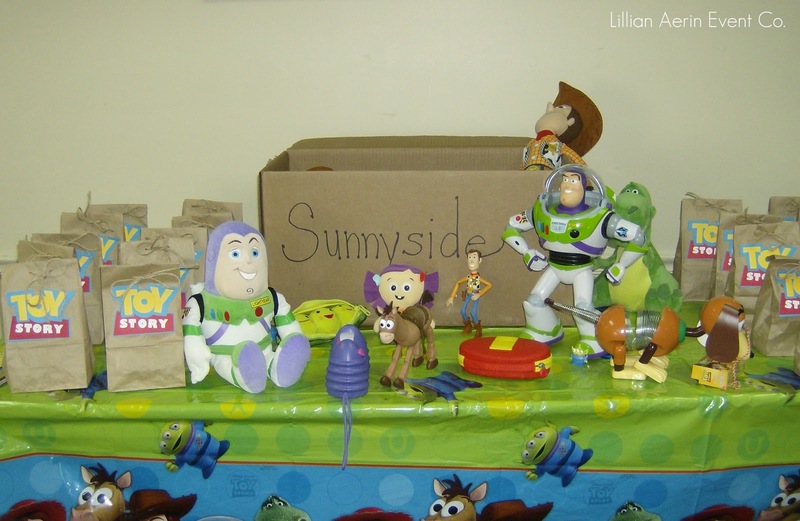 Lucky for me my niece and my daughter both had there share of Toy Story toys that we could use as props on the favor table. 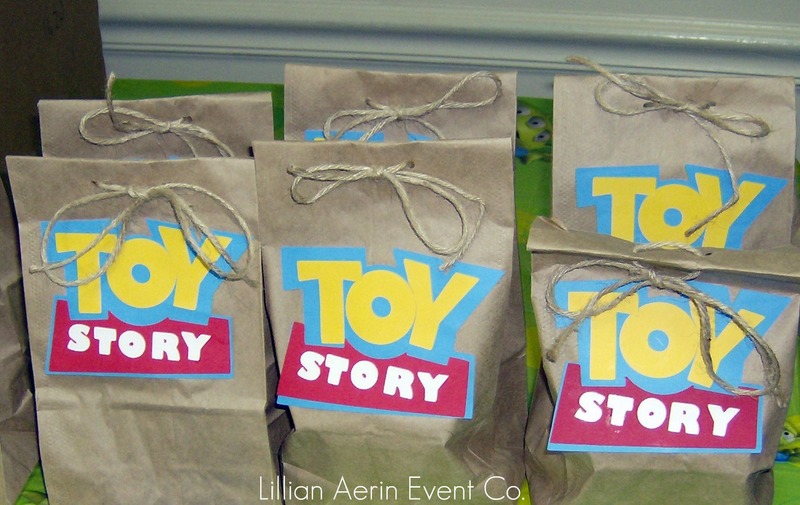 The favor bags were lunch bag with the Toy Story logo and tied with some twine. 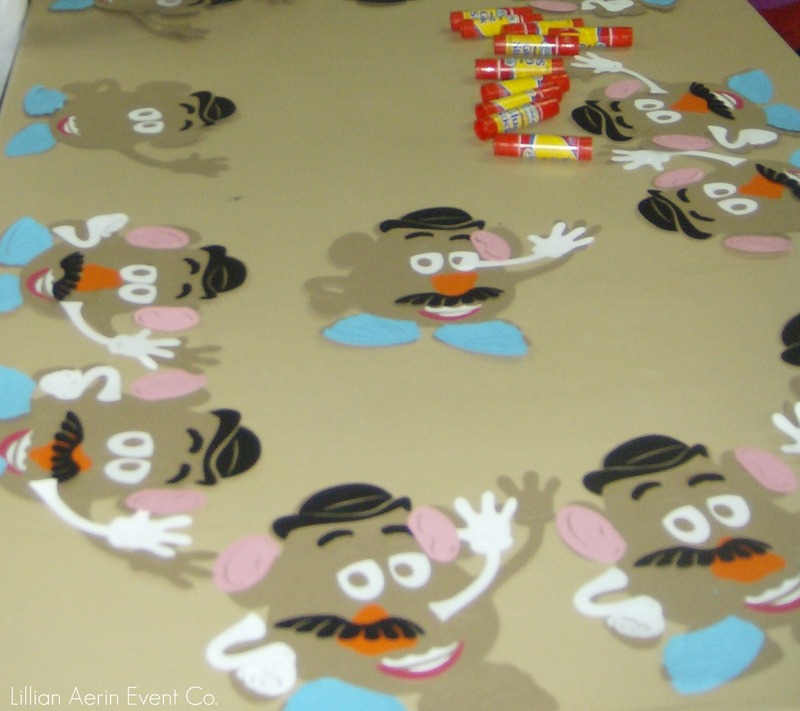 Inside each kid received a packet of toy story fruit treats, stickers, note pad, pencils, temporary tattoos, markers, crayons, play cards - all Toy story themed items. 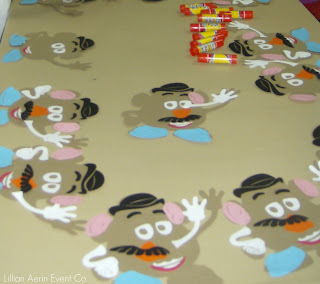 My niece wanted the Toy Story table cloths so we used the Toy Story 3 table cloths along with matching plates and hats. 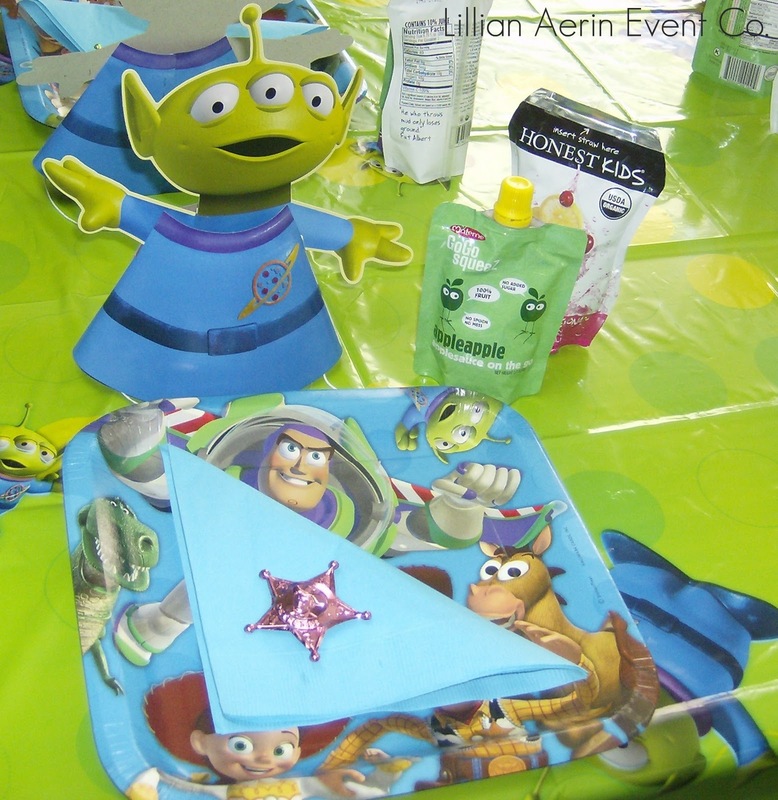 The party hats were Toy Story Alien hats - pretty cute! and juice box and along with these fun squeeze applesauces! Did you see how cute those Alien hats are? All of the kids had a blast and loved the theme. 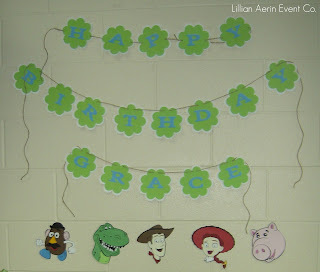 Birthday banner was also done to match the same colors as the plates and table cloths. I used a white flower cut, with another green flower cut, and then cut the letters in a matching blue color - all strung with some twine. A Wilton cake pan and a steady hand and lots of patience went into creating the buzz cake. Along with the cake the kids also had there choice of cupcake. 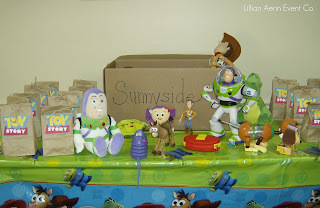 Games - They played pin the badge on woody and there was also a piñata Toy Story tower game. Craft - we did create your own Mr. Potato Head - each child received a Mr. Potato head cut out and then glued on arms, nose, and his shoes. This was a big hit and all of the kids loved creating their own Mr. Potato head. 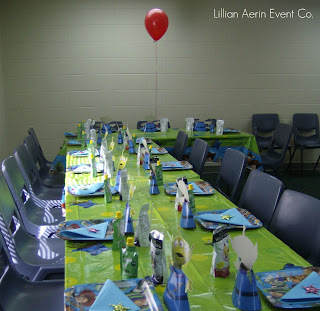 Are you planning to throw a really cool party for all your hippie friends? Well, you need to get all the required party supplies to make your party a real success then.